Located in the town of Plainfield, Connecticut you will find the charming village of Moosup. To keep the properties and people safe from the pests that also call this area home, pests such as ants, bed bugs, spiders, roaches, flies, pantry pests, and more, partner with the pest experts at Big Blue Bug Solutions. For over 80 years Big Blue Bug Solutions has been protecting New England properties from the year-round threat of pests. Our general or targeted pest control services can get rid of the pests that are invading your property, contaminating your food, and threatening the health and safety of you and your family. 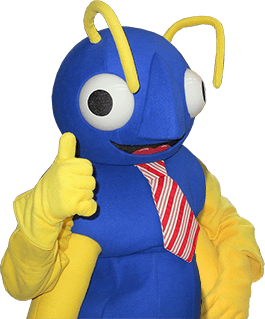 Contact Big Blue Bug Solutions today to learn more about our quality, affordable, and effective pest control options that will eliminate and control the pests that are found living in and around Moosup homes and businesses! To protect your home, year round, from a wide variety of common household pests, we offer our Home Owner’s Policy (HOP). HOP protects homes and families from a wide variety of common household pests including ants, fleas, crickets, earwigs, mice, ticks, spiders, silverfish, roaches, carpet beetles, bees and wasps, and many more. Our Home Owner’s Policy provides our customers with three visits per year from our educated and friendly technicians, it also provides preventative treatments and the ongoing monitoring of the vulnerable areas in and around your home. Through this program, we provide our customers with the peace of mind that if pests become a problem in between our visits, we will return at no charge to you to take care of the problem. Another benefit to this exceptional home pest control program is our exclusive Blue Glove Service. During this service, our technicians wear blue gloves and blue booties when entering your home, ensuring that your home is as clean after we leave as it was when we arrived! Call us today to learn more. Did you know that something as simple as the choice of what insulation to place in your home can actually help to prevent problems with pests? By installing pest control insulation into your Moosup home, you will be effectively insulating your home (keeping you and your family warmer in the winter and cooler in the summer and saving money on energy costs) AND protecting your home from being invaded by pests such as cockroaches, termites, silverfish, and ants. Our TAP insulation has natural borate particles evenly distributed throughout it. When insects pass through the insulation, the borate material gets on their skin and they ingest it when they groom themselves. Then the borates disrupt the digestive process, thus causing the insect to starve. TAP insulation can be installed inside a newly built home or placed inside an older home to help reduce pest problems and increase the comfort of your home. Give us a call to learn more. Trust the New England commercial pest control experts at Big Blue Bug Solutions and our customized commercial pest control solutions to keep your business free from the pests that can damage your structure, your reputation, your product, and scare away your customers. To control pests in your commercial facility, implement our Monthly Maintenance Program. The Monthly Maintenance program includes customized once-a-month visits to your commercial facility, by our highly trained and experienced professionals. During the monthly visits, our professionals provide pest-monitoring services in addition to performing preventative treatment services. If possible, any pest problems that are uncovered during a visit will be taken care of immediately. Stop pest problems in your Moosup commercial facility today by putting into place a professional pest control program from Big Blue Bug Solutions. The best way to avoid bed bugs in your Mooseup home is to schedule regular professional bed bug inspections. Bed bug inspections can give you peace of mind in two ways. It can assure you that your home is bed bug-free. Or it can let you know that bed bugs are in your home. If bed bug activity is discovered don't fret, know that the professionals at Blue Big Bug Solutions can quickly eliminate them and help to prevent a re-infestation, through the implementation of a tailored bed bug control plan. If you ever notice the following, in your Moosup home, contact Big Blue Bug Solutions immediately so our professionals can perform a thorough bed bug inspection and, if necessary, implement a plan of action.